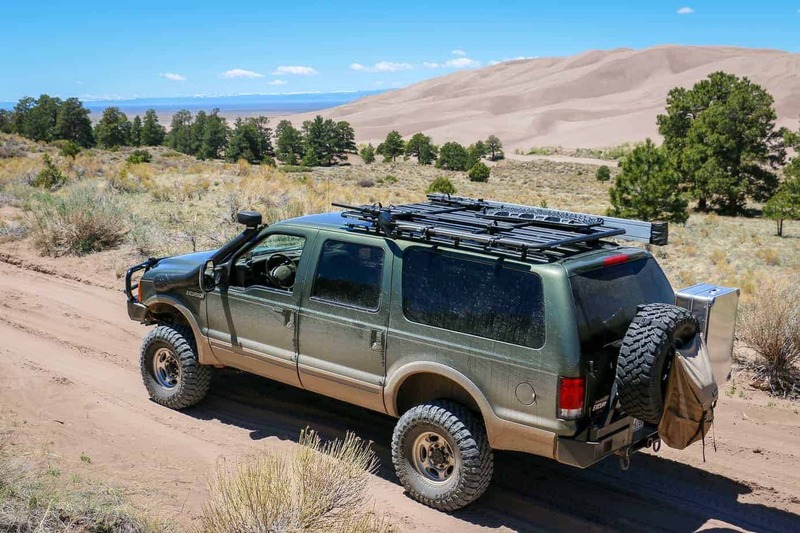 For decades the welded steel roof-rack has enabled automotive travelers to carry the fuel and supplies necessary for long journeys, but as the needs of enthusiasts change, so to must their equipment. Modern adventurers now expect a lighter and more aerodynamic cargo system—one that is as well suited to their daily commute as it is for the trail. More importantly, it must support all of their passions, and not just those tied to off-road driving. 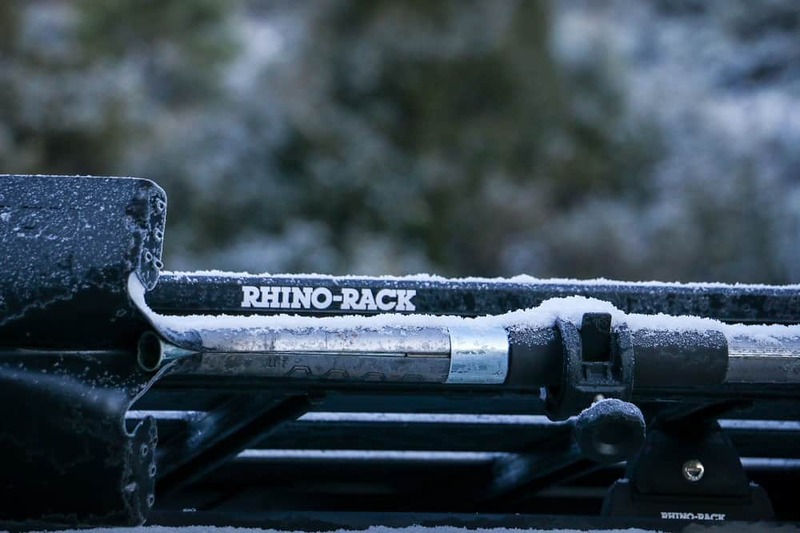 For this, Rhino Rack developed the Pioneer Platform. 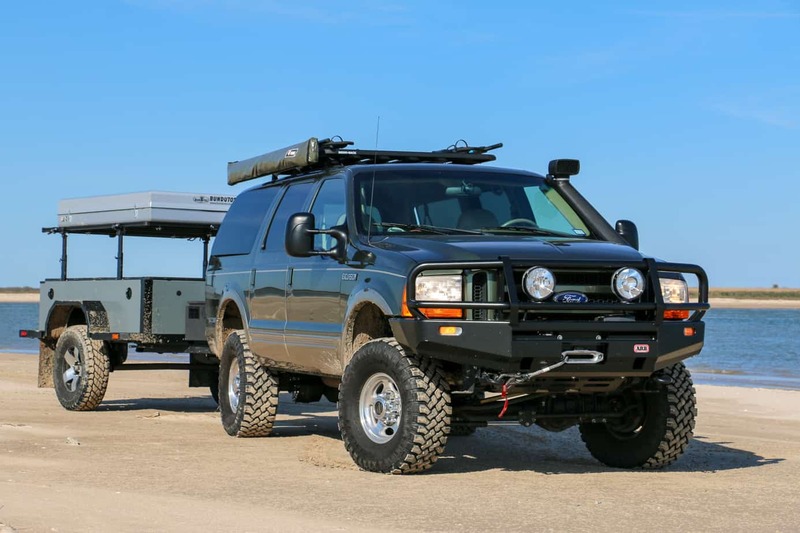 We picked ours up last December, and have since logged thousands of miles with it on various trips in our Excursion. 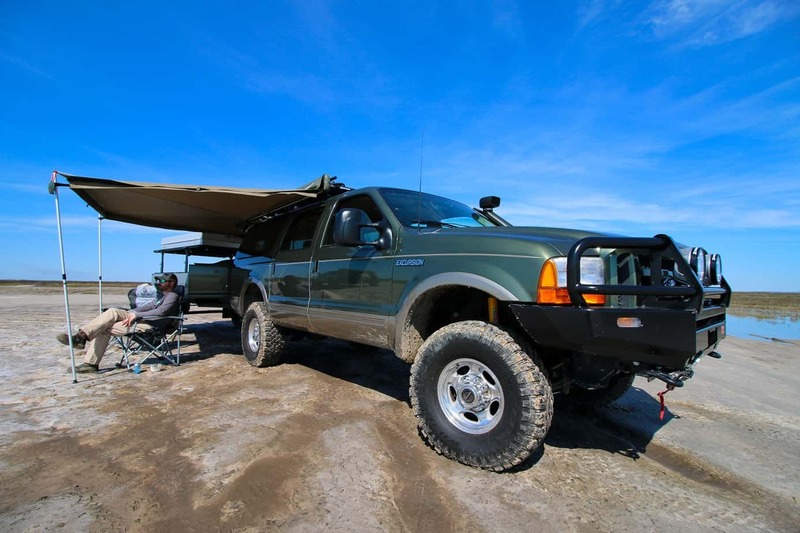 Its purpose was to give our Ford the versatility it needed to carry up to seven people and their gear, as well as provide a living space during bad weather, but it has proved far more useful than that. Over the last 6 months we’ve used it to haul bikes to the trail, assist in two moves, carry wood from the hardware store, give us a better angle for photography, and so much more. 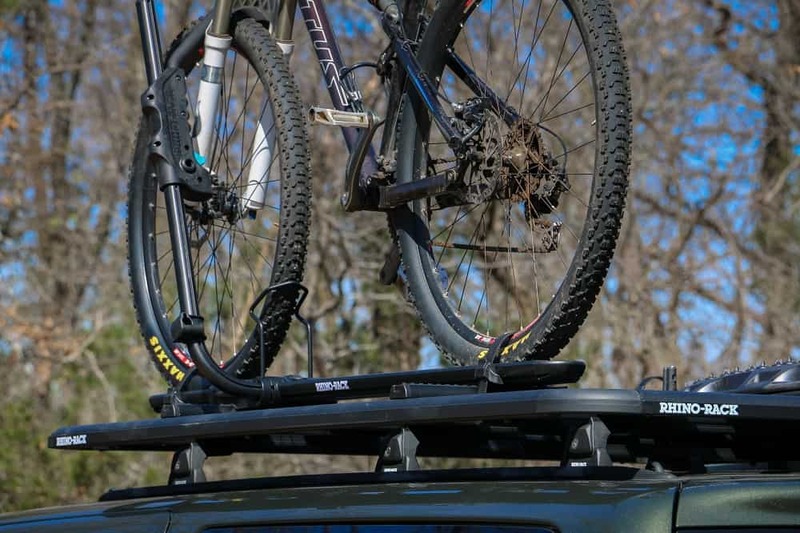 All of this has given us plenty of time to find out what’s great on this roof rack and what’s not, so now it’s finally time to take a closer look. The Pioneer Platform is constructed almost entirely out of powder-coated aluminum, which makes it resistant to rust and impressively light. The smallest model weighs just 28 pounds, while larger variants barely break 70 pounds. 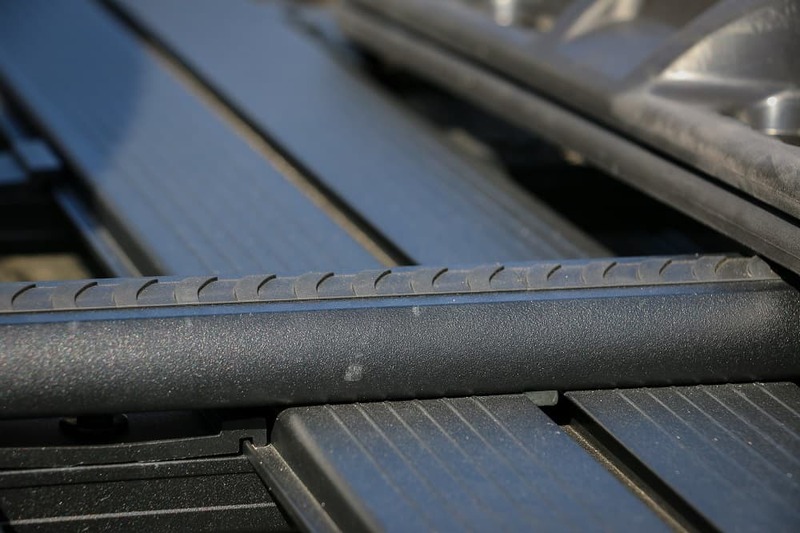 As a “modular tray system,” lengths range from 48 to 107 inches depending on your needs, and installation kits are available for factory roof rails, gutter mounts, and unique applications like the Jeep JK. 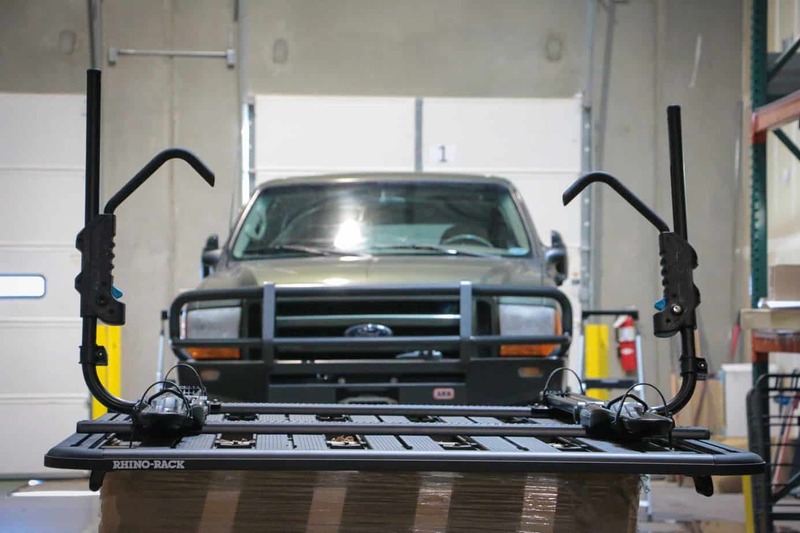 Even if your vehicle is not listed on their website, there’s a good chance that Rhino Rack can find a compatible hardware set, as they did for our Excursion. Installation was a breeze, and required no drilling or modifications of any kind. 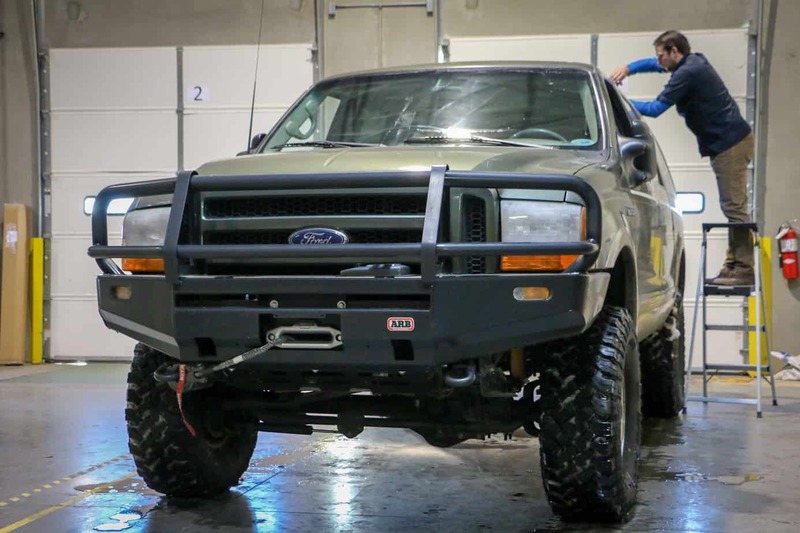 At the suggestion of Rhino Rack, we opted for their Quick Mount legs which slid easily into the Ford’s factory roof track. Once installed, each foot can be disconnected using a key and two quick-release levers hidden behind a plastic cover. 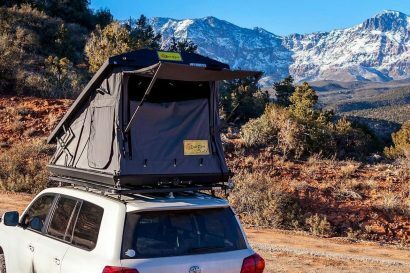 This fantastic feature makes attaching and detaching the platform an easy task, and is a perfect solution for those who want to run a roof top tent during trips, and then remove it entirely for everyday driving. 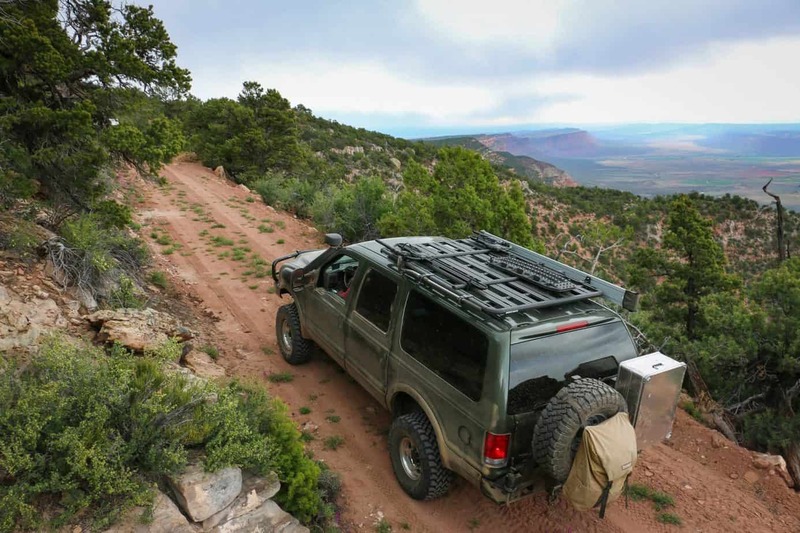 Of course a roof top tent is only one of the many accessories you can bolt to the Pioneer Platform. 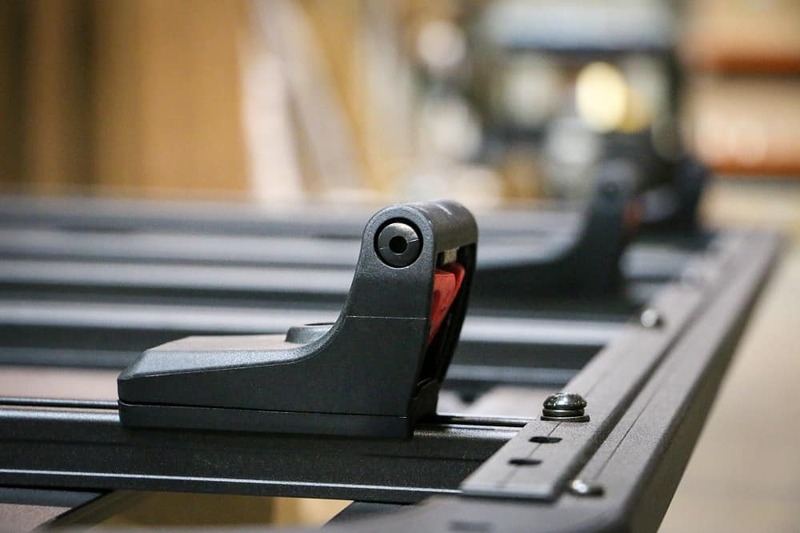 Kayakers can install rollers to help slide boats onto the roof, and cyclists can purchase lockable bike carriers. 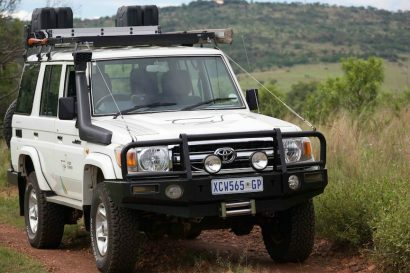 There are also mounts for shovels, Hi-Lift jacks, jerry cans, paddle boards, fishing rods, and of course awnings. We chose to install two lockable bike carriers, a Foxwing 270 awning, a shovel holder, and a set of sand ladder mounts for our Maxtrax. My only complaint is that their sand ladder mounts must be placed front to back in relation with the vehicle, which limits your mounting options with other accessories, and makes them much more difficult to access. 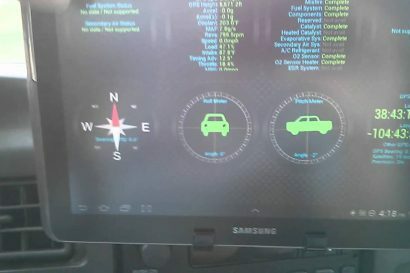 Even with several accessories installed, our Pioneer Platform had no discernable impact on the Excursion’s fuel economy over thousands of highway miles. Even more impressive, there was only a marginal increase in wind noise over the stock roof rails. This is largely due to the platform’s slim design and its aft placement on the vehicle, but the attention to detail also plays a role. 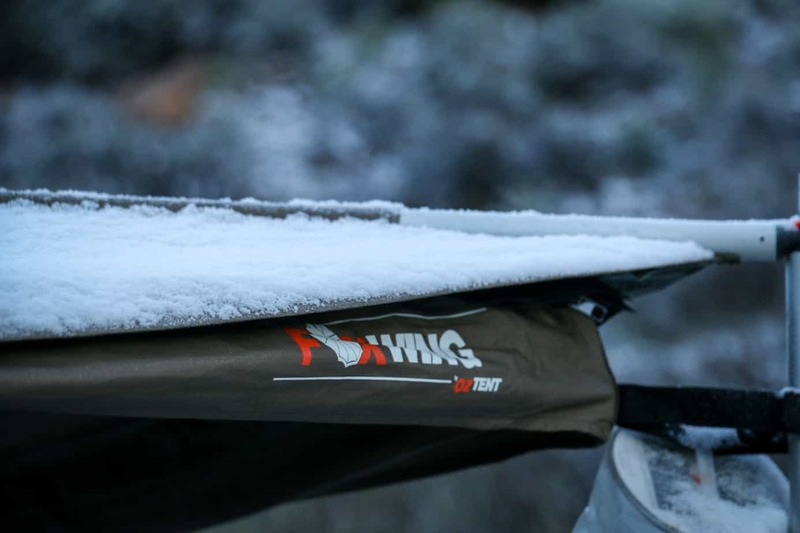 Everything on the rack has been designed to minimize drag and wind noise, from the tight awning cover, to the rounded edges of the low profile mounting hardware. They even go as far as sending rubber covers for gaps running perpendicular to the wind, which prevents whistling at high speeds. Despite its slim design, strength and rigidity are excellent, and I am able to walk from corner to corner without any flexing or denting. This gives me the confidence to use the rack as a platform for shooting photos, taking in sunsets, or watching events with the family on weekends. I can even stand on the very edge without bending the frame or stressing the feet. All in all the Pioneer Platform surpassed my expectations. While we won’t be bold enough to declare it the best roof-rack on the market, it is certainly in the running. 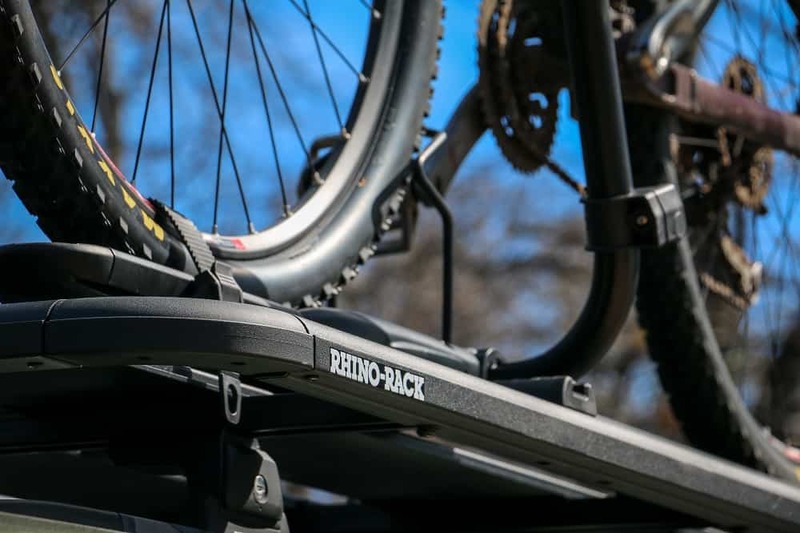 Rhino Rack recognizes that people have diverse interests, and while they might want to have a roof top tent for camping, they may also want to paddle board every other weekend, or hit the river for some fly-fishing. Instead of forcing you to buy a rack as an overlander, it allows you to buy a rack as Joe, a guy who likes cycling and canoeing, but also needs to park in his apartment’s frustratingly low garage. After 6 months of use I couldn’t be happier with our Pioneer Platform. It looks great, is highly versatile, and gives us the flexibility and performance we need. Heck, it’s even affordable, with prices starting as low as $499 USD. For more information, check it out at Rhino Rack.com.